Sarees are one of the most ethnic and chic outfit one can go for, our bollywood divas have made sure of that. 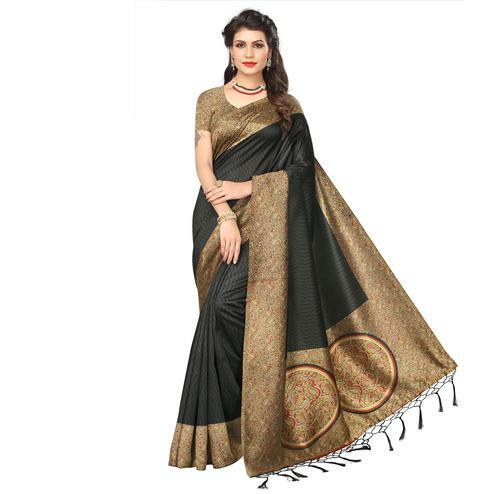 And the best colour to add in a saree is black. Nothing can beat a black saree. Its grandeur is different than any other outfit ever made. 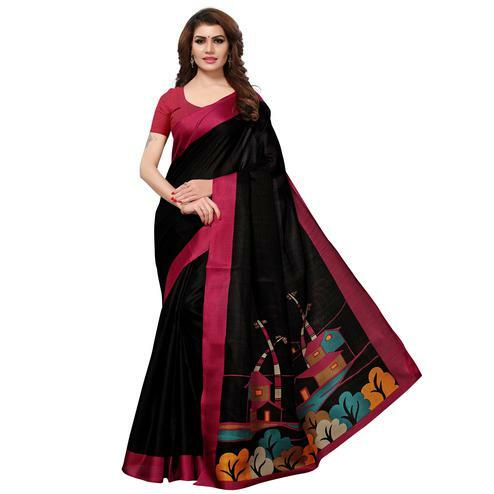 Sensuous and charming at the same time this black saree online is loved by all age women. 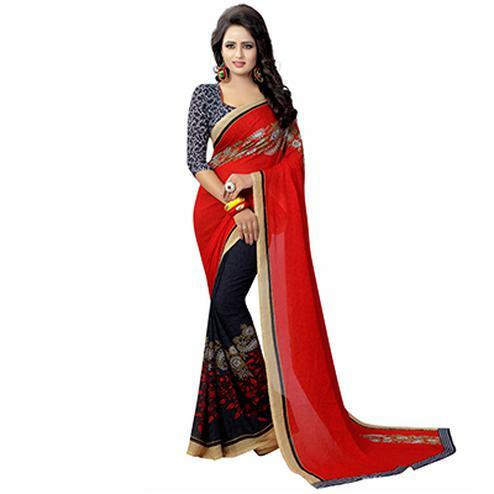 Peachmode with its line of best black sarees has charmed every women. 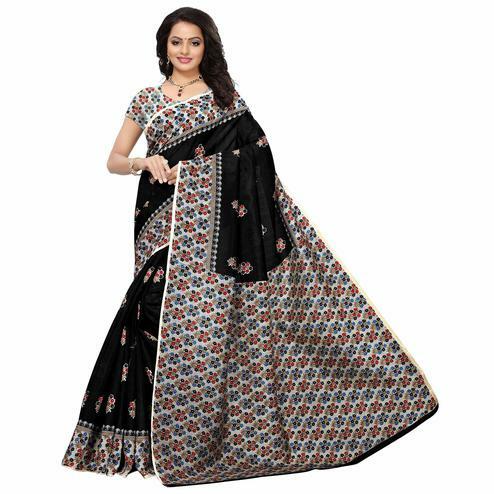 With the wide variety of fabrics and material our stunning black saree is sure to reserve a space in your wardrobe. 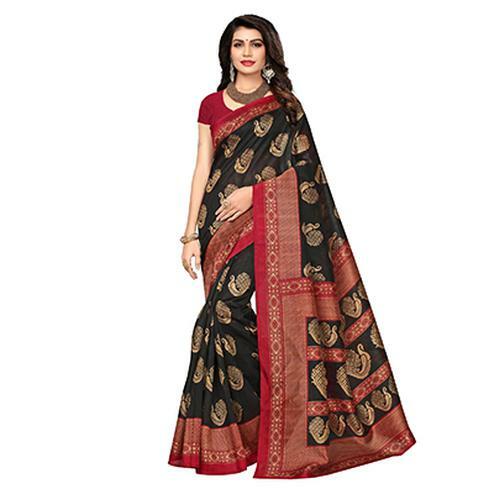 It ranges from black chiffon saree, black georgette saree, black silk saree, black net saree and much more. 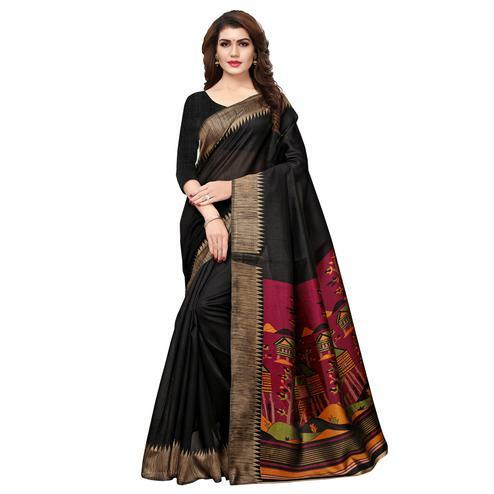 Our black partywear sarees are the one to die for. 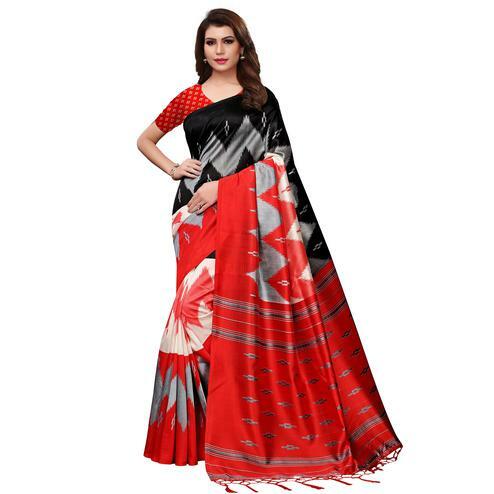 It consists of classy black saree with subtle and elegant golden borders, black sarees with designer red blouses and many more trendy combinations to browse through. 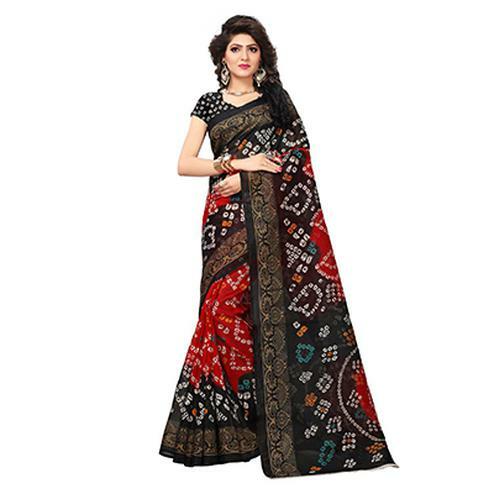 Earlier Indian women would not prefer any black outfit as they associated black with evil and violence but since the evolution of Indian ethnic wears most of the ladies started putting their trust in fashion and gave little air to these diabolical assumptions. Most of the credit goes to the leading ladies of bollywood in promoting the colour and the magic unrolled on its own. Women started realising that this dark colour can be well worn in cocktail parties and events if not wedding rituals. 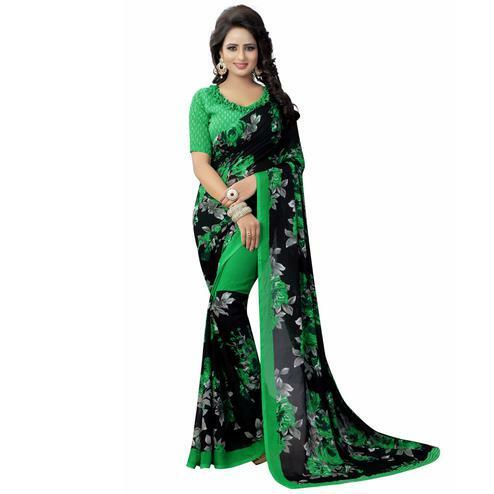 Get these evergreen enchanting designer sarees online from us in the most affordable range. Do not think twice because we promise, you would look super stylish with our best quality and gorgeous latest designs.